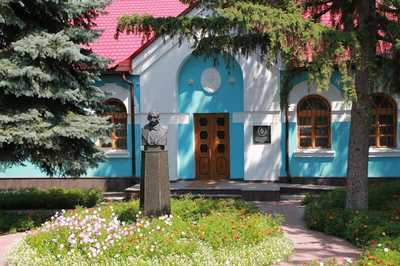 Nikolai Vasilevich Gogol has been born on 1st of April 1809 in the Velike Sorochnitsy settlement in the Poltavskaya province. His first poem — "Hans Kuhelgarten" — the author wrote in 1828th. After two years of criticism and work at several chancelleries of government departments, he has written the famous "Evenings on a Farm Near Dikanka" in 1831st. This became a pivotal moment in his literary carrier: both critiques and writers started to speak about the talent of the author. With equal enthusiasm, the reading community has appreciated his smaller written works, which were published in the collections "Arabeski" and "Mirgorod". There have been two subjects, which Gogol has received as a gift from Pushkin: the idea for the play "The Government Inspector" and the idea for the text "Dead Souls". The first volume of the "Dead Souls" has been published in Moscow in 1842. Gogol has dedicated quite some years of his literary biography to this writing. In January 1852nd, it became known that the text of "Dead Souls" has been completed. Though, the public has never seen the final part of the writing; Gogol has burned it just a few days before death. The writing talent of the Nikolai Vasilevich Gogol is recognized globally. To commemorate the anniversary of his birthday the libraries of Moscow have prepared a large cycle of events: movie evenings, lectures, exhibitions, workshops, and performances. The events will start today, on the 1st of April and will last till Autumn. In total, 110 events across 77 venues are planned for this period of time.